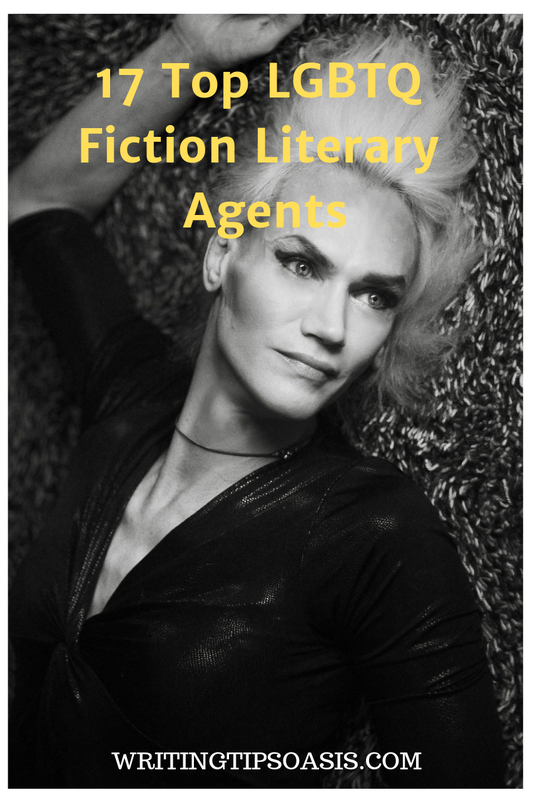 If you’re looking for a list of LGBTQ fiction literary agents, below we’ve featured 17 and have explained which individuals are currently open and closed to submissions. If you want to make a submission of your story to a publisher without an agent, take a look at these 17 top LGBTQ fiction publishers. Annie Bomke is a literary agent and founder of Annie Bomke Literary Agency, which is based out of San Diego, California. She represents a wide range of fiction and nonfiction genres, including women’s fiction, young adult fiction, and LGBTQ fiction. She’s always on the lookout for books with protagonists from diverse backgrounds, and is a big fan of story retellings told in entirely new and refreshing perspectives. She is currently accepting manuscript submissions via email, and you’re strongly encouraged to review her submission guidelines to make sure you meet all necessary project requirements. You should include a query letter, a synopsis of your book, as well as the first two chapters of your manuscript in the body of your email. For general inquiries or more information, you can also reach Annie via email. Amy Brewer is a senior literary agent with Metamorphosis Literary Agency, as well as the co-author of the Texting Prince Charming series. She is currently accepting submissions for romance in a variety of subgenres, women’s fiction, humor books, general fiction, and LGBTQ+ fiction. If you’re interested in having Amy represent your project, you can send her a query through her online query form. Be sure to include your contact information, state if you have any previous publishing experience, provide a concise synopsis of your book, and include the first three chapters for her consideration. If interested, Amy will reach out to you promptly to request your entire manuscript for further review. For general inquiries or more information, you can also contact Amy via email. Saritza Hernandez is a senior literary agent with Corvisiero Literary Agency. According to Publishers Market, Sartiza is the leading literary agent in digital publishing deals. She has represented award-winning and bestselling authors like April Daniels, Elia Winters, and Tara Lain. She is currently looking for LGBTQ romances, and is also interested in young adult and adult genre fiction. If you’re interested in working with Sartiza, you can submit a query letter that contains a synopsis of your book, along with the first five pages of your manuscript via her online query form. Be sure to include your contact information, provide a brief author bio, and add an approximate word count. If interested, Sartiza will be in touch to discuss how to proceed. For general inquiries or more information, you can reach Saritza through Corvisiero’s online contact form. As a senior literary agent with Transatlantic Agency, Léonicka Valcius is always eager to work with authors of diverse and often marginalized backgrounds and has represented authors like Gia de Cadenet. She represents both fiction and nonfiction genres, including adult and young adult fiction, romance, and LGBTQ fiction. While she is currently closed to submissions at this time, you’re strongly encouraged to review Transatlantic’s submission guidelines. For general inquiries or more information, you can also reach Léonicka via email. Malaga Baldi is a literary agent and founder of Baldi Agency who has been working in the literary industry since 1986. She has represented works like “Three Sheets to the Wind" by Cynthia Barrett, “Apocalypse, Darling" by Barrie Jean Borich, and “Tomb of the Unknown Racist" by Blanche McCrary Boyd. Malaga represents a wide range of fiction and nonfiction genres, including general fiction, memoirs, and LGBTQ fiction. She is currently accepting query submissions either via email or through regular mail. If you send a query through post, you’re asked to include an SASE (self-addressed stamped envelope) so that your material can be returned to you after consideration. Be sure to include a synopsis of your novel that grabs her attention. If interested, Malaga will contact you to request to see your full manuscript for consideration. Naomi Davis is a literary agent with BookEnds Literary Agency. She has represented projects like “The Tethered Mage" by Melissa Caruso, and is currently hoping to expand on her client list. She represents a wide range of genre fiction, including middle grade, adult, and young adult fiction, science fiction, romance, fantasy, and is especially interested in LGBTQ+ fiction. She is currently open to accepting submissions, and you’re strongly encouraged to review BookEnds’ submission guidelines before proceeding. You can send your query to Naomi through her online query form. For general inquiries or more information, you can also contact Naomi directly via email. Leanne Tavares is a junior literary agent with Metamorphosis Literary Agency. She primarily specializes in representing romance books, which includes an ever-expanding list of LGBTQ+ romances. She’s stated on Twitter that she’s especially interested in LGBTQ+ fiction that isn’t necessarily preoccupied with “coming out" stories. If you think your project would be a good fit with Leanne, you can submit a query through her online query form. For general inquiries or more information, you can also reach Leanne via email. Kat Enright is an associate literary agent with The Seymour Agency. She specializes in representing middle grade and young adult fiction in all genres, adult fiction in science fiction, fantasy, and romance –which includes LGBTQ+ fiction. Before you submit, be sure to review these submission guidelines to make sure that you meet all necessary project requirements. She is currently open to receiving query letters via email. Be sure to include your contact information, provide a brief synopsis of your book, provide the first three chapters of your book for consideration, and a short author bio to introduce yourself. If interested, Kat will reach out to you to discuss your project in more detail. Rebecca Podos is a literary agent with Rees Literary Agency. She represents genre fiction like science fiction, romance, middle grade fiction, fantasy, horror, historical fiction, and LGBTQ fiction. Having earned an MFA in Writing, Literature, and Publishing from Emerson College, Rebecca is herself the author of “The Mystery of Hollow Places" and “Like Water." She loves to work with projects that have memorable and unique protagonists and doesn’t shy away from books that represent marginalized voices. She is currently open to accepting query letters via email. You should include the first three chapters of your manuscript for consideration. She notes that she is only able to respond to those authors whose projects have interested her, but she thanks everybody in advance for reaching out. Jennifer Grimaldi is a literary agent with Chalberg & Sussman, a literary agency based out of New York. The agency has represented a wide range of bestselling books like “The Russian" by Ben Coes, “Side Tracked" by Diana Harmon Asher, and “The Good Shufu" by Tracy Slater. Jennifer represents a wide range of genre fiction, but especially loves to work with books with dark and romantic themes that feature diverse protagonists, especially LGBTQ+ leads. You’re strongly encouraged to review Chalberg & Sussman’s submission guidelines before proceeding. Jennifer is currently open to accepting queries via email. Be sure to include the first five pages of your manuscript in the body of your email for her consideration. If interested, Jennifer will reach out to you to request the rest of your manuscript. Tracy Marchini is another talented literary agent with BookEnds Literary Agency. With prior experience working with Curtis Brown Literary Agency, Tracy represents a wide range of genre fiction, including LGBTQ+ fiction. She’s especially interested in stories with diverse protagonists and prefers to work with children’s books that raise awareness for marginalized groups. She is currently open to accepting queries through her online query form. Be sure to include your contact information, provide an approximate word count for your project, and be sure to include the first five pages of your manuscript for her consideration. If interested, Tracy will reach out to you promptly with steps on how to proceed. Jess Dallow is an associate literary agent with Brower Literary & Management. Jess and her team at Brower Literary have represented projects like “Bad for You" by J. Daniels, “More than Words" by Mia Sheridan, and “Wish You Were Mine" by Tara Sivec. Jess primarily represents young adult and adult commercial fiction, but she’s also interested in representing women’s fiction and LGBTQ+ fiction. She is currently open to accepting query letters via email. If she’s interested in your project, you can expect a prompt response from Jess. Be sure to follow her on Twitter to keep up with the latest news and manuscript wish list updates! Zabé Ellor is an associate literary agent with Jennifer De Chiara Literary Agency and has worked with the agency since 2018. He represents young adult fiction, adult fiction, graphic novels, and a wide assortment of nonfiction titles. He is currently on the lookout for LGBTQ+ fiction, and would love to see historical fiction features trans characters. If you’re interested in having Zabé represent your work, you can send a query letter through his online query form. You should include a 1-2 page synopsis of your book, along with the first twenty-five pages of your manuscript for consideration. He notes that he aims to respond to all queries between four to six weeks. Ann Rose is a literary agent with Prospect Agency, which is based out of Houston, Texas. She primarily represents young adult fiction of all genres, and is always on the look out for stories that are slightly more dark and edgy. She loves to work with romance project, science fiction, fantasy, and commercial fiction, and is also open to accepting LGBTQ+ fiction. She does not, however, represent horror, erotica, nonfiction, picture books, or poetry collections. If you’re interested in having Ann represent your work, you can submit a query letter through Prospect’s online submissions form. Be sure to include a brief synopsis and the first three chapters of your manuscript for consideration. Also be sure to indicate that you’re interested in working with Ann so that your submissions doesn’t get sent to the wrong literary agent. Claire Draper is a literary agent with InkWell Management. She represents a wide range of middle grade and young adult fiction in a various genres, including fantasy, contemporary fiction, mysteries, romance, and is open to accepting LGBTQ+ fiction. Claire herself is a fan of reading queer young adult fiction, body positive memoirs, and feminist essay collections. If you think your project would be well represented by Claire, you can submit a query via email. Be sure to include the first two chapters of your manuscript in the body of your email. Please note that due to the high volume of queries that the InkWell team receives, they will only contact those authors whose projects have piqued their interest. Lauren Spieller is an associate literary agent with TriadaUS, based out of New York City. She is currently on the look out for middle grade fiction, young adult fiction, adult fiction, and nonfiction of all genres. She’s especially interested in projects that represent diverse and often marginalized narrative voices, which includes the LGBTQ+ community. She is currently open to accepting query letters via email only. She asks that you include the first ten pages of your manuscript in the body or your email, and that you should mention the genre of your project in the email’s subject line. If interested, Lauren will reach out to you promptly to discuss reviewing your full manuscript. Lisa Abellera has been a literary agent with Kimberly Cameron & Associates since 2013. She holds an MFA in Creative Writing from the University of San Francisco, and has extensive experience eworking in the fields of management, marketing, and finance. She primarily represents literary fiction, women’s fiction, mystery, suspense, science fiction, and is open up to accepting LGBTQ+ fiction. She is unfortunately closed to queries at this time, but you’re strongly encouraged to check back at a later date when this status may change. In the meantime, you can keep up to date with Lisa on Twitter. 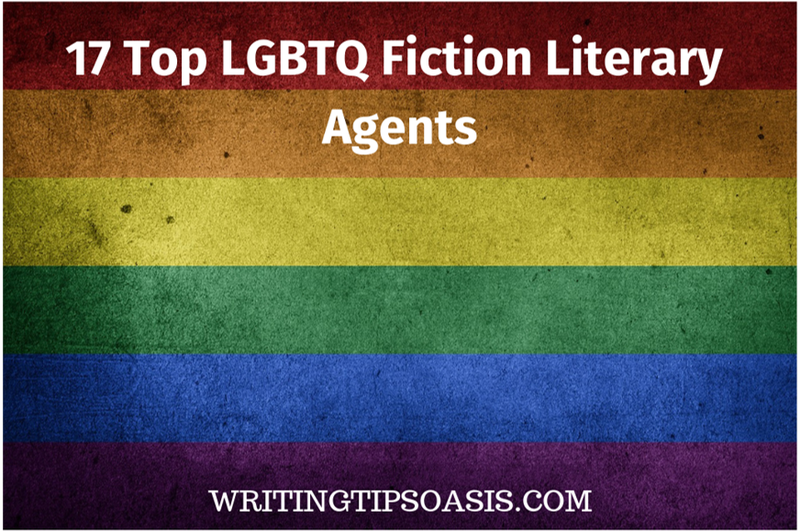 Are there any other LGBTQ fiction literary agents you know about? Please tell us about them in the comments box below!